We invite you to come take a tour of our 25,000-square-foot facility, located in the Tri-County Business Park in Tampa, Florida. 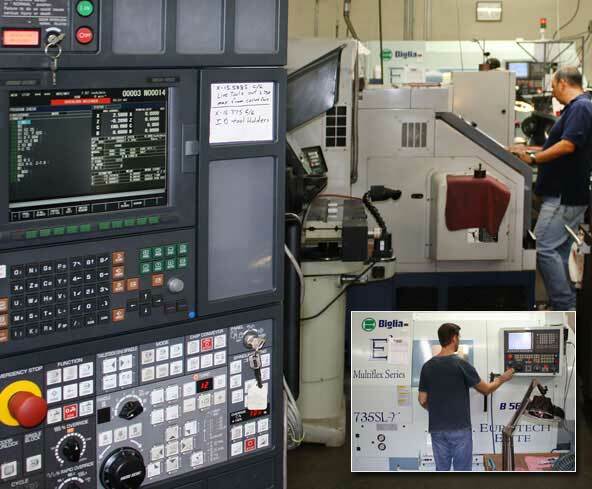 Tampa Bay Machining boasts one of the largest facilities in Central Florida – with 25 state-of-the-art CNC machines, some featuring twin-spindles, all designed to reduce your costs and manufacturing time. The large tool-making department handles custom prototype parts, and a finishing department uses the latest deburring equipment to ensure precision throughout the manufacturing process. High-tech, certified welding capabilities allow secondary operations to remain within our control. Our large-capacity shop and stringent quality control practices enable us to deliver highest quality products at competitive prices – on time. Tampa Bay Machining customers also appreciate our personal, highly responsive service. When you call us for a status on your order, you’ll talk to real person at our company. Our unique customer job-tracking program means your job is barcode-tracked at every phase of production so that – from the moment we receive your order to the time of delivery – your order information is at our fingertips. From start to finish, our goal is to excel in providing an extraordinary experience for our customers.